To Fit: Saab 9-3 Sports 2.8 V6 - all models 2006 onwards - excluding All Wheel Drive (XWD). Uprated Clutch kit for Fast Road use - a clutch designed for use with engines which have been modified 20-25% above standard. Has an organic drive plate made from very high heat resistant robust material (spiral woven glass fibre with a heavy copper core) and with a burst strength of 9,000 rpm. 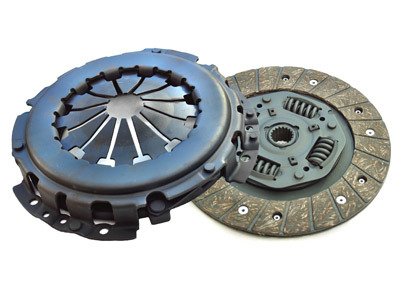 NB: These Clutch Kits are made to order, lead time prior to shipping is approx 1 week. Please Note: You must provide your chassis/VIN number when ordering otherwise we will not be able to process your order. Furthermore these kits are specially produced to order and therefore are non returnable.